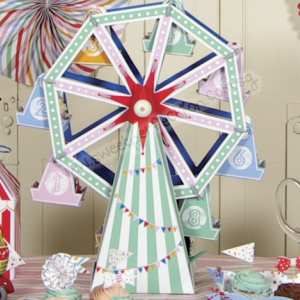 This amazingly cupcake stand which is designed as a fairground ferris wheel will provide a fantastic centrepiece for children’s parties or any other fun celebration. Guaranteed to create lots of oohs and aahs from both children and adults alike! 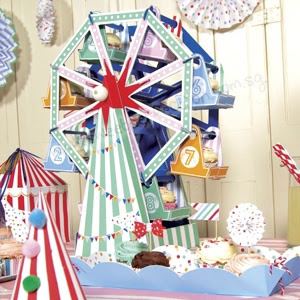 The cupcake stand can hold 8 cupcakes and is made very strong card so can be used time and time again.